We are proud members of The 5% Club and have a long-standing tradition of promoting an employees growth through trainees and apprenticeships. This is showcased by the fact that 20% of our workforce have come through a trainee, apprenticeship or graduate programme. The 5% Club is a movement of more than 250 employers providing ‘earn and learn’ opportunities to develop the skills and talents people need to become more employable and create meaningful careers. Companies joining The 5% Club commit to raising the number of apprentices, sponsored students and graduates on formal programmes to 5% of their total workforce within five years. Further information on The 5% Club can be found at https://www.5percentclub.org.uk/. Our aim is to give young people with no skill set the opportunity to train up and develop a trade. 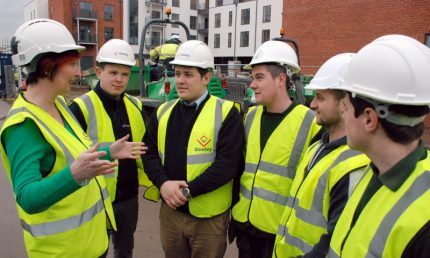 We encourage the use of trainees on our sites and regularly work with local schools and colleges to develop our programme. 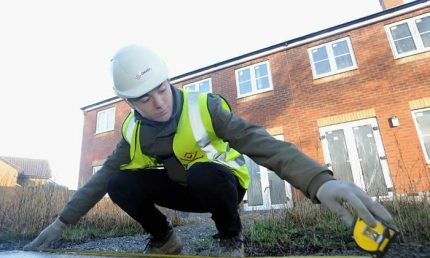 Our site management trainees currently work on our affordable housing developments and gradually increase their experience through new tasks. We often support local schools and colleges by placing school and college students on 1 or 2 week work placements.